The SKYLAKE BLUE™ 10-7 is a dedicated paddlers dream board. We’ve taken all the great things about our time tested SKYLAKE GREEN™ series and added the core of our new Lake River Coast fin System. 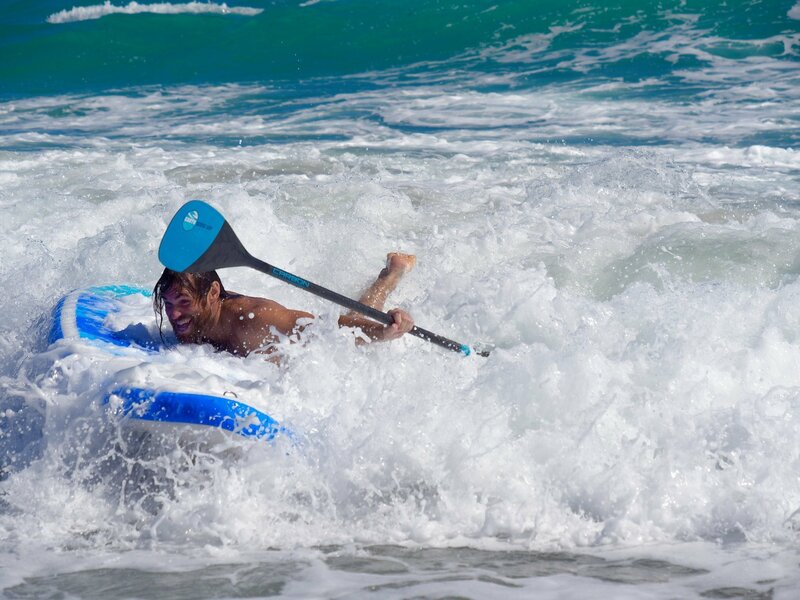 It will add a new dimension to your paddling. Recommended for riders from 100 – 240lbs that want to seek adventure, and need a board to keep up. 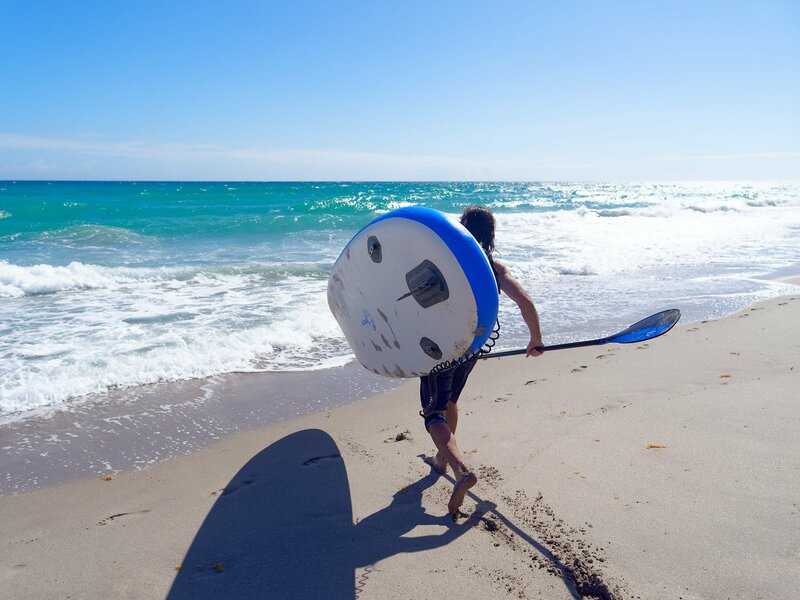 Upgrades to the full Lake River Coast Fin Pack are available for the paddle who wants to keep their ride light, but take their fin configurations to the next level. 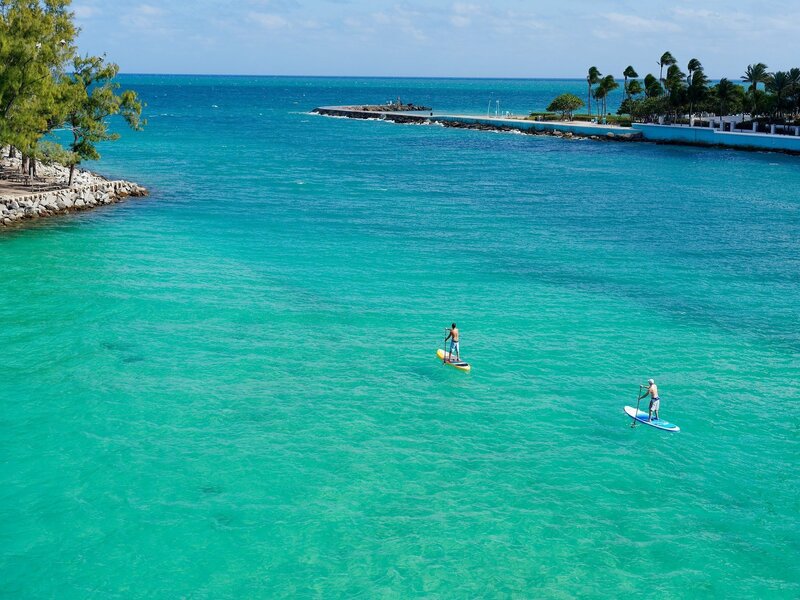 PERFECT FOR: Riders of all sizes – touring/exploring lakes and coastal waterways – fitness paddling – and occasional yoga, surfing, and whitewater. Recommended for riders from 100 – 240lbs that want to seek adventure, and need a board to keep up. Upgrades to the full LRC Fin Pack are available for the paddle who wants to keep their ride light, but take their fin configurations to the next level. Exceptional stability, but not lacking in speed. The standard 8″ fin is the perfect all rounder for any type of water. The included 4.5″ fin compliments the 10-7 when you want tighter turning, or need a smaller fin for shallow coastal areas or inlets. In 2019 our SKYLAKE BLUE™ series comes with the same customizable fin setup options as our market leading V-3 boards. An 8" center fin provides the most fun on water in nearly all conditions, but we also include a 4.5" center fin that can be used with the 4.5” side fins for the perfect thruster configuration in shallow water, surf, or when you just want some super responsive turning. The side 4.5" click fins are completely removable, giving you even more flexibility in setting up your ride. For more info on our Fin System please see here. In 2019 our SKYLAKE BLUE™ series comes with the same customizable fin setup options as our market leading V3 boards. 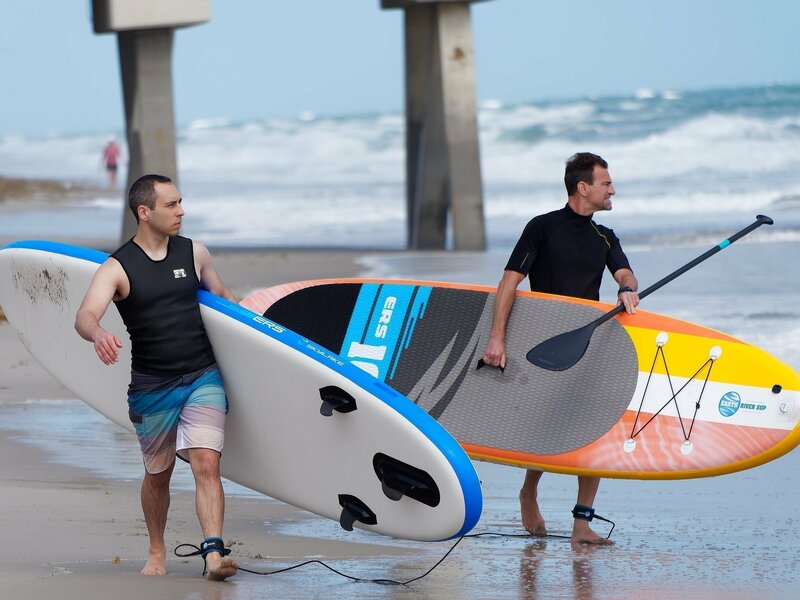 Reptile skin traction covers the main section of the pad making it perfect for all casual SUP pursuits. 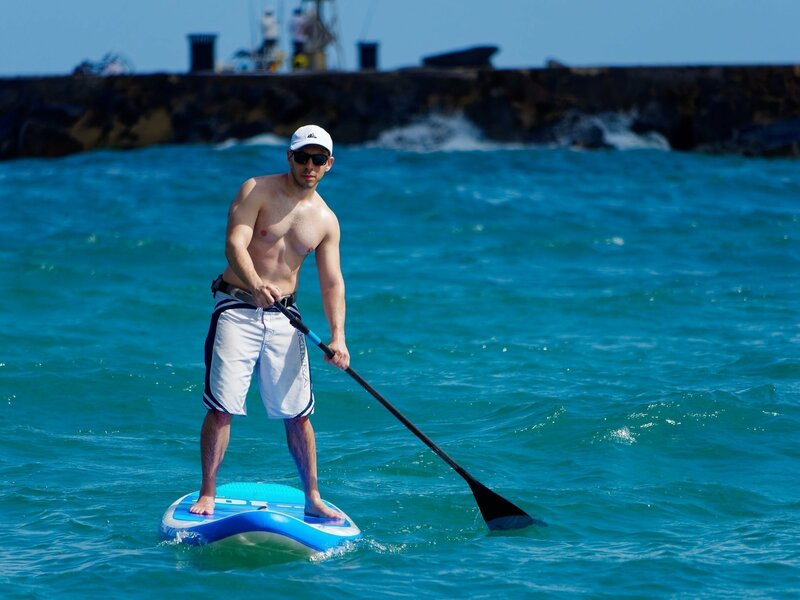 Providing exceptional comfort and grip, partnered with a removable neoprene handle it creates a huge flat surface that is great for all SUP activities. The tail section uses our V-II Ultragrip diamond pattern with kick pad and arch bar to give our SKYLAKE boards the edge when performing more advanced techniques. 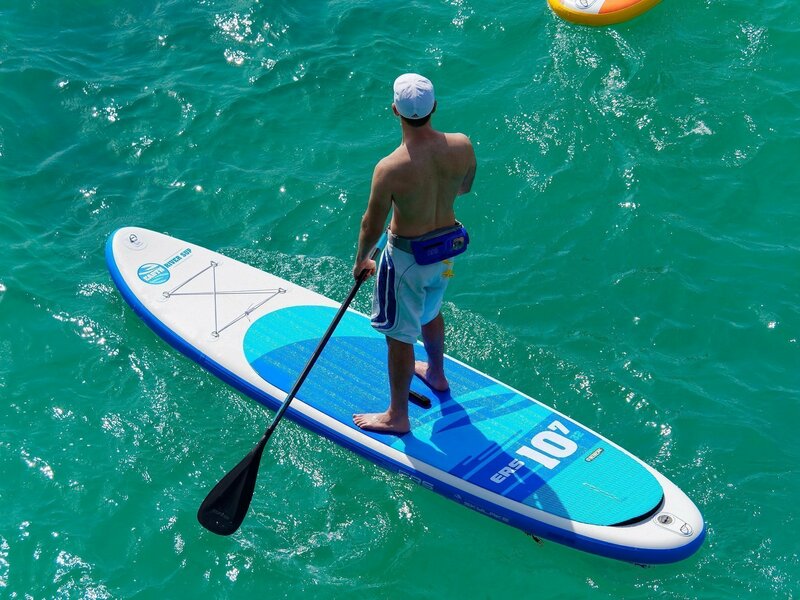 Our pad is up to 40% thicker deck pad than other well known high end SUP brands. and it performs in all conditions and water. Reptile skin traction covers the main section of the pad and it's perfect for all casual SUP pursuits. 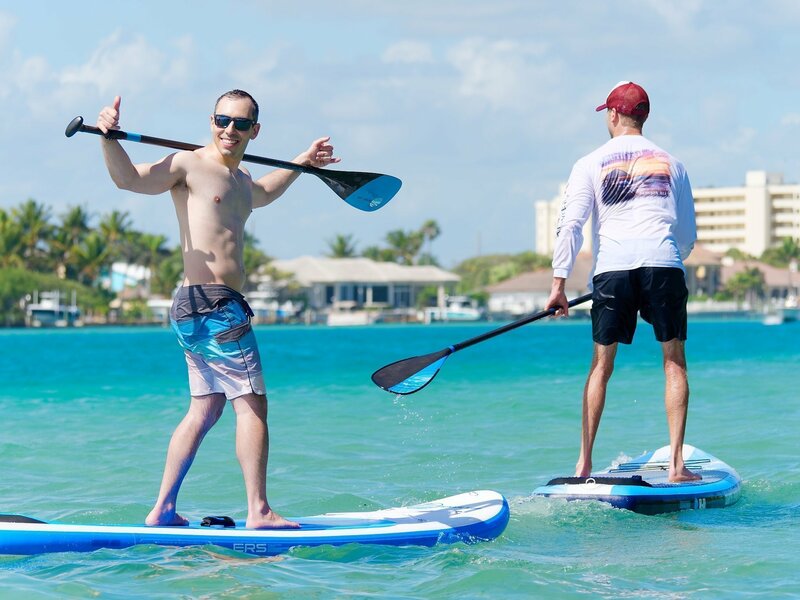 Providing exceptional comfort and grip, partnered with a removable neoprene handle it creates a huge flat surface that is great for all SUP activities. Our pad is up to 40% thicker than others on the market and it performs in all conditions, and all water.